There is a bike parking next to the passage between UNS40 and UNS50. A smaller indoor bike parking is also available, located near the side entrance of UNS40. Beware: at the mail entrance of UNS40, what looks like a bike shed is actually art. Don't clamp your bike there as it might be removed. 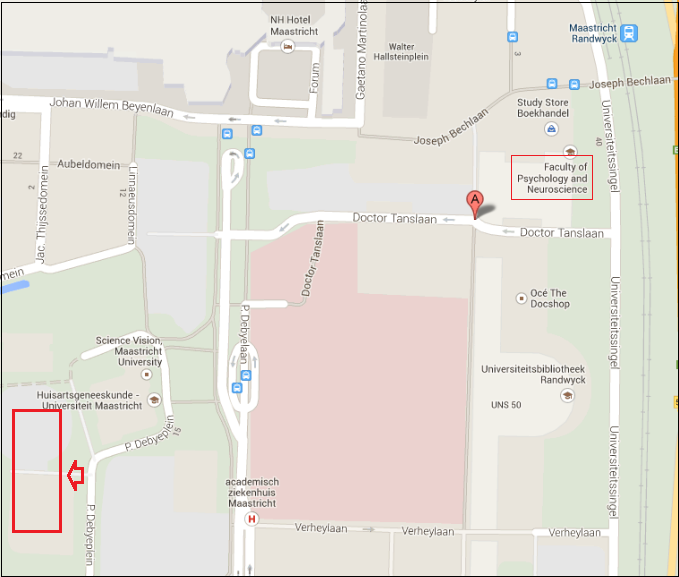 If you come by car, you can use the UM parking at the Peter Debyeplein. This is an eigth minute walk. You can park there for free, 24 hours a day, every day. All FPN UM-cards have this access enabled by default. UM-website for info on parking permits.